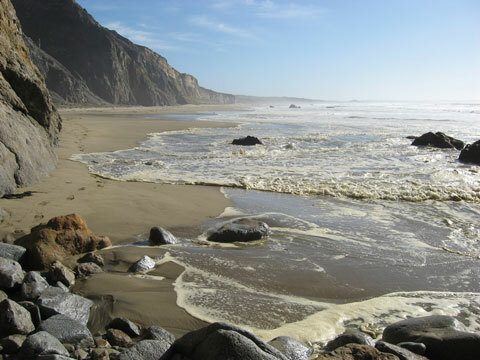 The California Natural Resources Agency (NRA), its member departments, agencies and commissions, and the U.S. Army Corps of Engineers (USACE), along with the CSMW’s advisory groups, are working together to resolve coastal erosion and sediment management issues throughout California. This is being accomplished primarily through CSMW coordination activities and by collaborative development of a Sediment Master Plan (SMP). The NRA and USACE have separate funding and projects related to the SMP, and they utilize the CSMW to coordinate their respective efforts. This page provides an overview of the NRA’s and USACE’s primary programs related to coastal erosion and sediment management. Imbedded links will take you to other websites with more program and agency information. In addition, other agencies that participate in CSMW in an advisory role are also mentioned below. Land use planning for addressing coastal erosion is shared among multiple government entities in California. The federal Coastal Zone Management Act (CZMA) requires that state coastal management programs include a planning process for shoreline erosion, and restore areas that have been adversely affected by such erosion. The California Coastal Act assigns primary responsibility for carrying out the California coastal management program to the California Coastal Commission, San Francisco Bay Conservation and Development Commission, and State Coastal Conservancy. 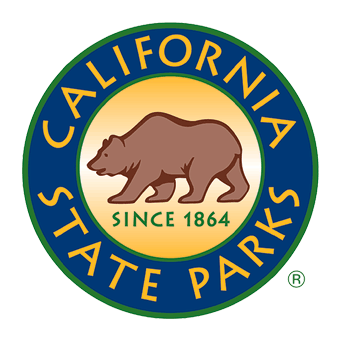 Division 5 of the Public Resources Code established the State Park System, designating the Department of Parks and Recreation: (DPR) as the system’s manager. DPR is the single largest coastal landholder and manager and it is a significant stakeholder in coastal resource management and coastal erosion policy implementation. The department's mission is to help preserve the state's extraordinary biological diversity, protect its most valued natural and cultural resources, and create opportunities for high quality outdoor recreation. (DBW) within the Department of Parks and Recreation administers the state’s beach restoration programs, which include the Beach Erosion Control Program and the Public Beach Restoration Program. These programs provide funding for studies and projects that further the state’s goals of minimizing beach erosion, maintaining recreational beaches, and sustaining beach habitat. DBW funds studies and projects needed to understand coastal processes and projects designed to reduce the impacts of coastal erosion. DBW may fund its own projects and studies or fund studies and projects sponsored by local governments and/or the USACE on a cost-shared basis. As a trustee and responsible agency for the State’s fish and wildlife resources, the California Department of Fish and Wildlife(CDFW) has jurisdiction over the conservation, protection, and management of fish, wildlife, and habitat necessary for biologically sustainable populations of those species. In this capacity, CDFW is a member of the Coastal Sediment Management Workgroup (CSMW) in an advisory role. The Department advises the CSMW about impacts to natural resources due to sediment management activities. The CDFW administers the California Endangered Species Act, the Native Plant Protection Act, and other provisions of the California Fish and Game Code, Public Resources Code, and California Code of Regulations Title 14 that afford protection to the State’s fish and wildlife trust resources. The CDFW is also responsible for marine biodiversity protection under the Marine Life Protection Act (MLPA) in coastal marine waters of California. The Department is the State’s fish and wildlife “Trustee Agency” under the California Environmental Quality Act (CEQA guidelines §15386). The California Geological Survey supports the CSMW primarily through the provision of Project Manager services, overseeing development and implementation of studies related to coastal erosion and regional sediment management, and completion of various technical tasks of import to the CSMW. The CCC’s mission is to protect, conserve, restore, and enhance environmental and human-based resources of the California coast and ocean for environmentally sustainable and prudent use by current and future generations. The CCC, in partnership with coastal cities and counties, plans and regulates the use of land and water in the coastal zone. Development activities, broadly defined by the Coastal Act to include (among others) construction of buildings, divisions of land, and activities that change the intensity of use of land or public access to coastal waters, generally require a coastal permit from either the CCC or the local government. 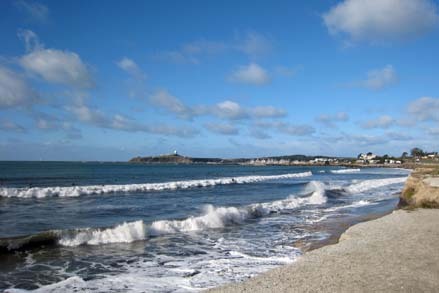 The Coastal Act includes specific policies (see Division 20 of the Public Resources Code) that address issues such as shoreline public access and recreation, lower cost visitor accommodations, terrestrial and marine habitat protection, visual resources, landform alteration, agricultural lands, commercial fisheries, industrial uses, water quality, offshore oil and gas development, transportation, development design, power plants, ports, and public works. The policies of the Coastal Act constitute the statutory standards applied to planning and regulatory decisions made by the CCC and by local governments, pursuant to the Coastal Act. (BCDC): The mission of BCDC is to protect and enhance San Francisco Bay and to encourage the bay's responsible and productive use for this and future generations. The agency’s two primary functions are to ensure maximum feasible public access to the Bay and to prevent unnecessary Bay fill. Concurrently, BCDC has continued permitting responsibility to ensure that appropriate and environmentally sound development provides public benefits and economic development for the entire region. Its role is to view the Bay as an entire system –something almost impossible for the more narrowly focused governmental bodies to accomplish. BCDC’s San Francisco Bay Plan is updated regularly to ensure the responsible use of the Bay and its shoreline and address new issues as the Bay Area changes. The Plan includes policies on issues critical to the Bay, ranging from port activities and public access to urban development and transportation. In 1977 California expanded the Commission's authority to provide special protection for the Suisun Marsh, the largest contiguous brackish marsh on the west coast of North America. More than 10% of California’s remaining wetlands and more than 300 species, including 80% of the State’s commercial salmon fishery, are found in the marsh. BCDC is also the federally designated state coastal management agency for the San Francisco Bay segment of the California coastal zone. In this role, BCDC ensures that federal projects and activities are consistent with the State statutes and regulations. Section 31100 et seq. of the Public Resources Code establishes the State Coastal Conservancy (SCC) as responsible for coastal land acquisition, resource restoration and enhancement programs. The SCC uses entrepreneurial techniques to purchase, preserve, improve, and restore public access and natural resources along the California coast and on San Francisco Bay. Established in 1888, the South Pacific Division is one of the Corps' nine regions nationwide. Four operating Districts, headquartered in Los Angeles, Sacramento, San Francisco and Albuquerque, provide federal and military engineering support in California, Arizona, Nevada, Utah, New Mexico and in parts of Colorado, Oregon, Idaho, Wyoming and Texas. The civil works program is oriented around major watersheds in the region and leverages federal resources for navigation, flood damage reduction and ecosystem restoration. Major river basins include the Sacramento, San Joaquin, Santa Ana, Colorado and Rio Grande, which are governed by complex water rights. Water resources are vital to agriculture, urban development, natural ecosystems, and Tribal interests, and recreation. There are more than 300 threatened and endangered species in the region. We issue regulatory permits under the Clean Water Act for development occurring in the nation's waters and wetlands, balancing environmental stewardship with the need for economic and urban growth. The Corps works in partnership with other federal agencies, state governments and local communities on collaborative solutions to these complex water resource issues. The Los Angeles District provides civil works and military engineering support to Southern California, Nevada, Arizona, and parts of Utah. The area encompasses 226,000 square miles, 420 miles of coastline, 14 harbors, and the highest, lowest, and hottest spots in the contiguous 48 states. The scope of missions in the district vary from supporting the world’s largest groundwater recharge system in Orange County to the Corps’ involvement in one of the nation’s most significant transportation projects, the California High Speed Rail. The Southern California Dredged Material Management Team (SC-DMMT) is an interagency team managed by USACE for the coordinated review of dredging projects and dredging policy issues within the Southern California area, specifically the counties of San Diego, Orange, Los Angeles, Ventura, Santa Barbara, and parts of San Luis Obispo County. Coordinated review of dredging projects and policy issues reduces redundancy and unnecessary delays in permit processing (and ultimately in the management of coastal sediments), promotes consistency in dredging project reviews, and facilitates development of consensus recommendations among regulatory staff. The San Francisco District provides civil works and military engineering support to the western part of Central and Northern California and the Klamath River Drainage, which extends into Southern Oregon. Having been a presence on the West Coast since 1866, the District currently comprises over 40,000 square miles with 570 miles of Pacific Ocean coastline. It encompasses 23 coastal river watersheds and the largest Pacific estuary in the Americas – San Francisco Bay – with more than 300 miles of shoreline. The District maintains 18 federal ship channels, 2 dams and reservoirs, and 120 miles of federal levees. The Dredged Material Management Office (DMMO) is an interagency group, hosted by the San Francisco District - USACE, for the coordinated review of dredging projects and dredging policy issues within San Francisco Bay, specifically the counties of San Francisco, San Mateo, Alameda, Contra Costa, Solano, Napa, Sonoma and Marin. Coordinated review of dredging projects and policy issues reduces redundancy and unnecessary delays in permit processing (and ultimately in the management of sediments), promotes consistency in dredging project reviews, and facilitates development of consensus recommendations among regulatory staff. Although there is no formal DMMO-like organization outside the San Francisco Bay, similar interagency coordination occurs for dredging projects along the Northern California coast. RSM seeks to manage sediment on a regional basis to potentially save money, allow the use of natural processes to solve engineering problems, and improve the environment. The California RSM demonstration initiative in California encompasses approximately 1,100 miles of shoreline along the Pacific Ocean. The goal of the RSM demonstration program for the state of California is to develop a comprehensive master plan that uses a regional, systematic approach to resolving coastal sediment management issues. The emphasis of this program is on evaluating innovative approaches to prevent coastal erosion and to improve shoreline sediment retention. 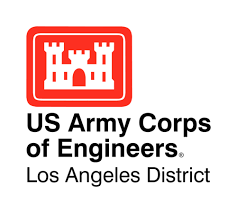 Different shore protection devices and methods are being constructed, administered, and evaluated at USACE’s SF and LA District offices. The National Shoreline Management Study presents an opportunity to examine the status of the Nation's shoreline, in order to provide a basis for Federal actions regarding shoreline management for the foreseeable future. The study will provide a technical basis and analytical information useful in developing recommendations regarding shoreline management, including a systems approach to sand management, and roles for Federal and non-Federal participation in shoreline management. The National Park Service (NPS) is entrusted with managing 85 ocean and Great Lakes parks across 26 states. Established for their beauty and national significance, these parks conserve over 11,000 miles of coast and 2.5 million acres of ocean and Great Lakes waters, including coral reefs, kelp forests, glaciers, estuaries, beaches, wetlands, historic forts and shipwrecks. The ocean and coastal parks comprise a system of tremendous biological and recreational value to the nation. They attract over 86 million visitors each year and generate over $3.5 billion in economic benefits to local communities. Within California, the National Park Service manages more than 470 miles of shoreline, including many miles of sandy beaches, and thousands of acres of offshore submerged land. With responsibility for preserving natural resources and processes, protecting park infrastructure, and providing recreational opportunities, NPS is a stakeholder in California's sediment management. Individual parks, such as GGNRA , work in collaboration with the National Park Service Oceans Program to address coastal management issues. 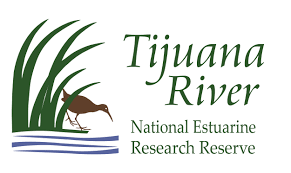 TRNERR is one of the National Oceanographic and Atmospheric Administration’s (NOAA) 28 place-based Research Reserves around the country, and protects one of the last intact coastal wetlands in Southern California; it is a partnership between NOAA, CA State Parks, the U.S. Fish and Wildlife Service, and a non-governmental organization, the Southwest Wetlands Interpretive Association. Sediment is a primary management consideration for TRNERR, as high levels of sedimentation have resulted from impacts associated with the intensely urbanized and altered setting within the watershed on the US-Mexico Border. The Reserve partners with various governmental agencies and academic institutions to conduct collaborative research and restoration in sediment impacted wetlands to advance scientific understanding and coastal management. 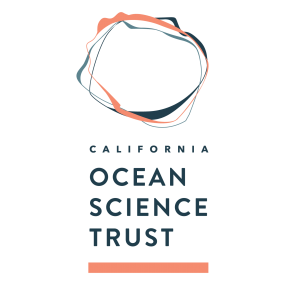 The California Ocean Science Trust (OST) is a nonprofit 501(c)(3) public benefit corporation established pursuant to the California Ocean Resources Stewardship Act (CORSA) of 2000. OST's mission is to advance a constructive role for science in decision-making by promoting collaboration and mutual understanding among scientists, citizens, managers, and policymakers working toward sustained, healthy, and productive coastal and ocean ecosystems. 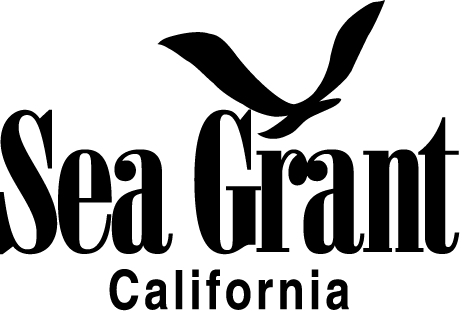 There are two Sea Grant programs in California, the California Sea Grant Program headquartered at Scripps and the University of Southern California (USC) Sea Grant Program . Both programs conduct relevant research on coastal and marine resource issues in California and conduct outreach and education programs to ensure the wide dissemination and use of research results. The USC program is focused on issues pertaining to urbanization of coastal environments and the attendant impacts on marine resources. Research and outreach about coastal processes, sediment management, land use planning and hazard assessment, mitigation and adaptation are important subject areas for both programs.